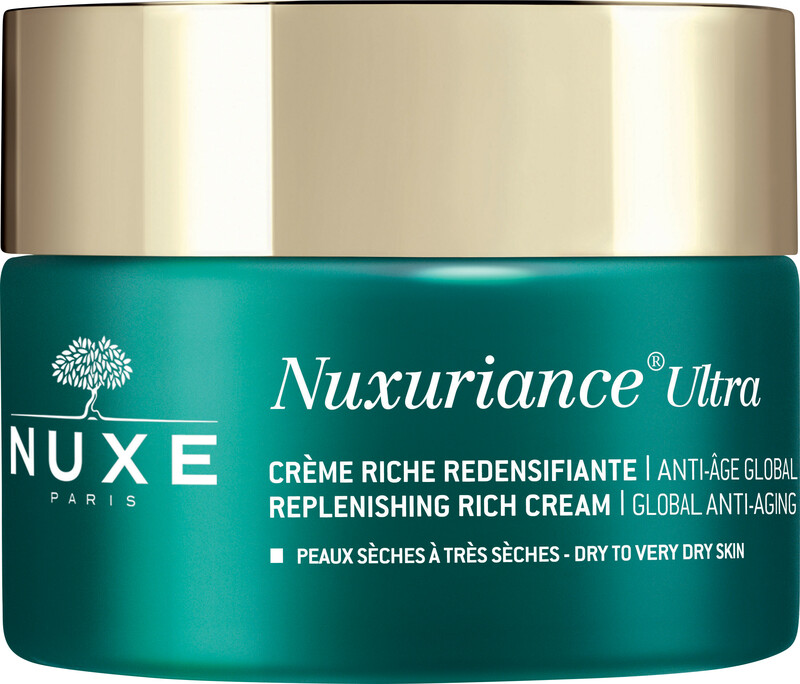 Redensify and nourish your skin with the Nuxe Nuxuriance Ultra Replenishing Rich Cream, an anti-ageing day cream for dry to very dry skin. This rich day cream will cocoon skin in comforting care, smoothing fine lines and wrinkles whilst restoring the skin’s natural radiance. Formulated with meadowfoam oil, which is rich in emollient fatty acids, plus organic poppy petal extract to help with cell nutrition, the Replenishing Rich Cream will keep skin dense, plumped and youthful. Extremely nourishing, the cream will bring nutrition, flexibility and comfort to all those who experience skin dryness. Created especially for those who experience skin dryness, this exceptionally nourishing cream will bring nutrition, flexibility and comfort to all. Its addictive scent of orange blossom, raspberry and sandalwood will make sure that you’ll forward to using this cream every day! Heat a small amount between the palms of your hands and smooth onto your face, neck and décolleté in an upward motion. Combine your Ultra Replenishing Rich Cream with the Nuxe Nuxuriance Ultra Eye and Lip Contour Cream to ensure your face looks and feels at its best. 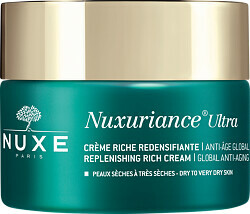 Nuxe Nuxuriance Ultra Replenishing Rich Cream - Dry To Very Dry Skin 50ml is rated 5.0 out of 5 by 1. Rated 5 out of 5 by Gisele from Lovely face cream I am a fan of the Nuxe range which I find effective whilst still being gentle to sensitive skin. I use this with the Nuxe eye cream from the Luxuriance range: http://www.escentual.com/nuxe019/ and find that the two work well together, keeping my skin hydrated and comfortable all day.